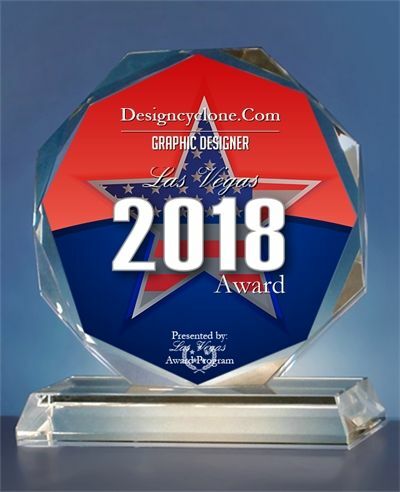 LAS VEGAS - March 13, 2019 - PRLog -- DesignCyclone.com, a local web design business, has been selected for the 2018 Las Vegas Award in the Graphic Designer category by the Las Vegas Award Program. The Las Vegas Award Program is an annual awards program honoring the achievements and accomplishments of local businesses throughout the Las Vegas area. Recognition is given to those companies that have shown the ability to use their best practices and implemented programs to generate competitive advantages and long-term value. "We are so proud to receive this community recognition that justifies our hard work in offering the highest quality of service to the web design market. Our business has one mission: to help start-up business and entrepreneurs achieve sustainability. Our main focus through the years has been: the efficiency of our services and the competency of our support. This award is a clear sign that we are on the right track. It will definitely make us even more focused on reaching a higher level of quality of service." said Anton Valkov, founder of DesignCyclone.com. DesignCyclone.com provides cost-effective web solutions tailor-made and developed to match the specific needs of start-up businesses. For more information, visit www.designcyclone.com.